Breast cancer changes ones life forever! 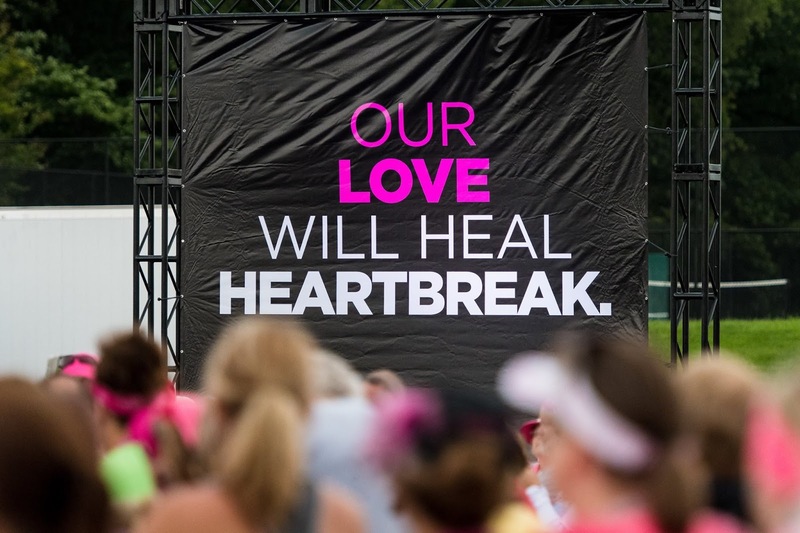 And in the past 14 years, the Susan G. Komen 3-Day event is striving hard to change it for good. Many of us have been affected by breast cancer, either directly or indirectly. Unfortunately, we all know someone who has fought/has been fighting that brutal battle with breast cancer. It is disheartening to hear that breast cancer is the most frequently diagnosed cancer across the world and the leading cause of cancer death in women. It knows no boundaries either - be it age, gender, socio-economic status or geographic location. And sadly, it not only affects the patient but also immensely impacts the co-survivors (friends, family and co-workers) and they need support, too. 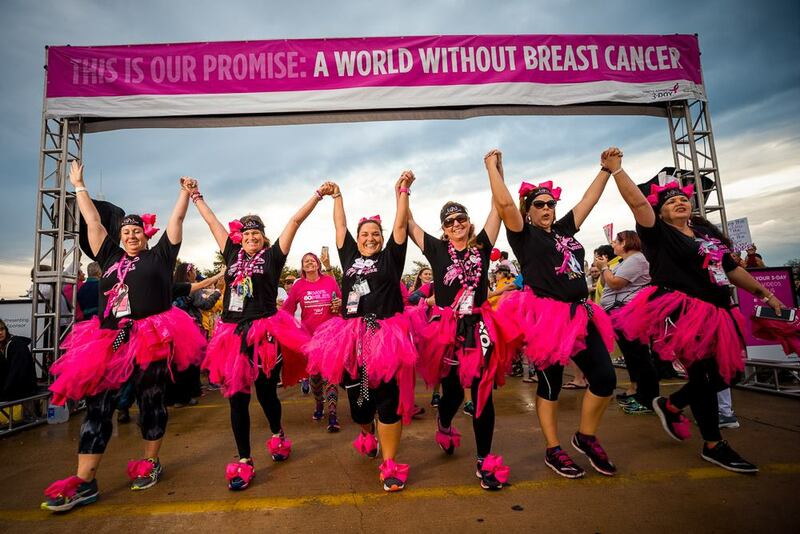 Joining forces with Susan G. Komen is a great way to not only show your support to all those deeply affected by this ghastly disease, but it is also an extremely impactful way to fight back and do something that can make a world of a difference. The reason maybe any (or many), I feel incredibly proud and truly honored to be a part of such an enormous cause! 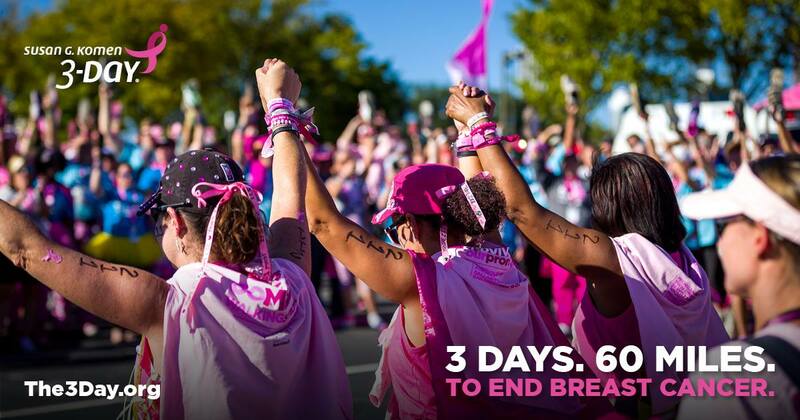 And you can be too - visit www.The3Day.org or call 800-996-3DAY for more information. 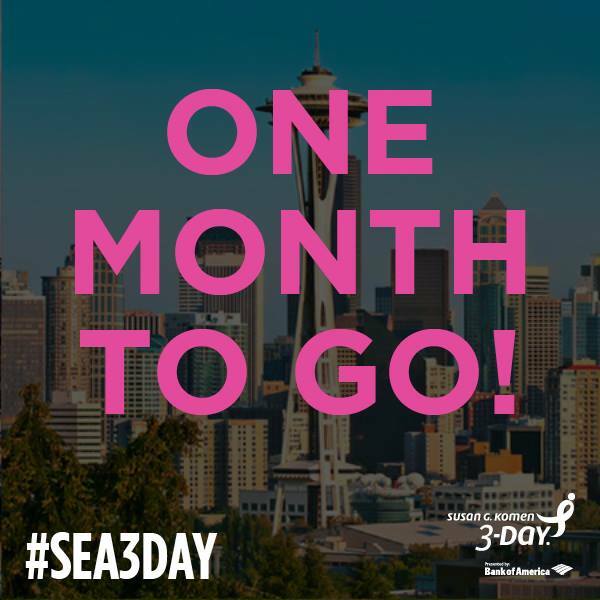 You can also connect on Facebook at Facebook.com/The3Day, Twitter @The3Day and Instagram @Komen3Day. 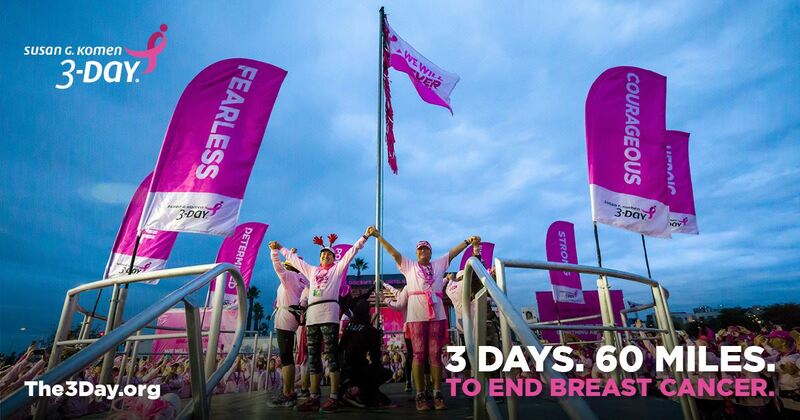 Sure enough, committing to walk 60 miles in 3 days is no easy feat; it is a daunting task to say the least, but with proper preparation and training, there isn’t anything that one’s body cannot accomplish (especially when you have such a strong cause ahead of you to support)! 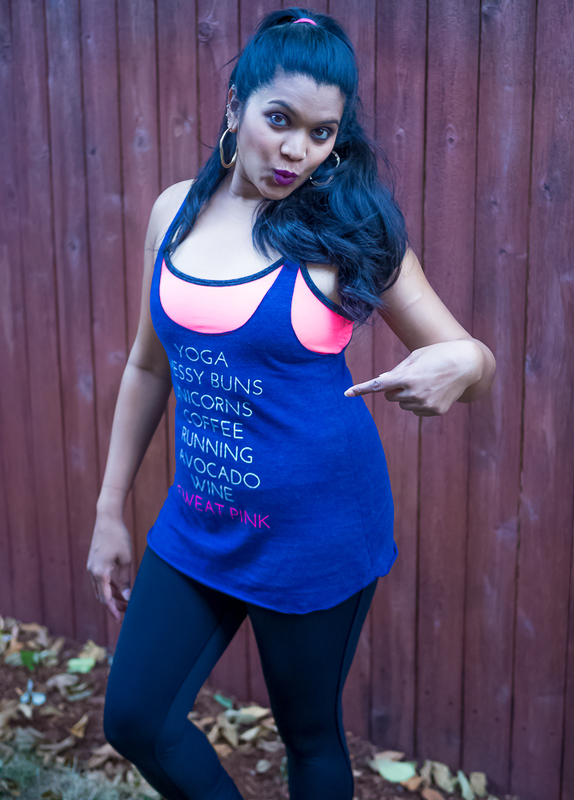 To be absolutely honest, I have barely had any time to workout the last 3.5 months with a baby and other big life changing events. But that’s got me even more pumped to put on my running shoes (yes, running shoes) starting tomorrow and begin training for the 60 mile walk happening here in Seattle from September 15th - 17th, which leaves me with a little less than 6 weeks (38 days to be exact as I write this post), until the event, yikes.! Though it is recommended to train from anywhere between 16 to 26 weeks to prepare for such an event, I know that time is not on my side but I am determined and know it CAN be done. And if I can, so can you! First and foremost, test yourself: As you begin training, use the first few days to gauge your fitness level and see how many miles you can walk on 3 consecutive days. This gives you a good idea about the kind of effort and time you will need to put in to train and helps you ramp up your training to prepare for D-Day (more like 3 days ;)). 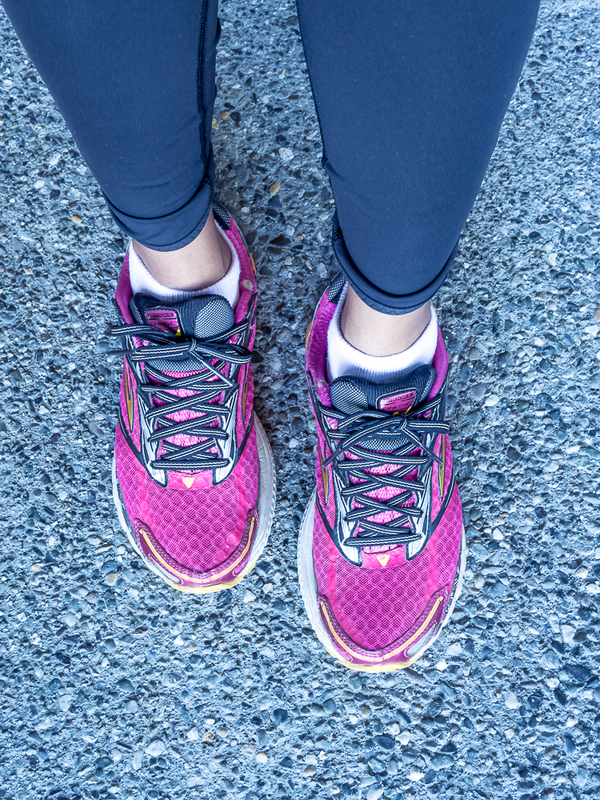 Choose comfortable clothing and shoes: Wearing the right outfit and shoes makes a huge difference when you are training as well as on the day of the event. 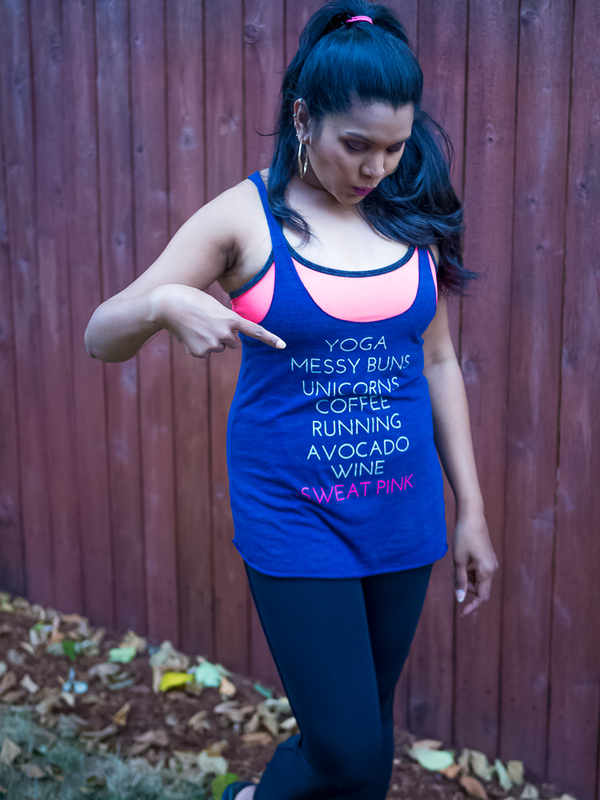 Pick out apparel that are made of breathable fabrics (no cotton materials). Consult a specialist at a sports store who can recommend shoes that are right for you and your training (trust me, it was one of the best things I ever did when I trained to run the marathon 3 years ago). Be Consistent: Gradually increase both your pace and mileage each day/week. Don’t walk 2 miles one day and try to walk 12 miles the very next day. Follow a training guideline and tweak it as you go if necessary. Rest and recover: Resting is just as important as training. While you certainly need to train hard, you also need to train smart. Training everyday without giving your body a chance to recover will lead to injury and do more harm than good. So include rest days as part of your training plan. Cross-train: Any good training plan should include cross-training days too. It not only helps reduce injury but also increases efficiency by utilizing other muscle groups that are not actively used while walking. You could incorporate swimming, biking, weight training etc as part of your cross-training schedule. Stretch: No matter what training program you adopt or workouts you do, don’t ever forget to stretch at the beginning and at the end of your daily training session. Stretching helps prevent injury and avoid muscle fatigue. Stay hydrated: Be sure to drink enough water not only during training but also throughout the day. Water helps regulate your body temperature and also transport nutrients to give you energy. Eat a balanced diet: Make sure your diet comprises of complex carbohydrates, lean protein sources, healthy fats, and a wide variety of fruits and veggies. Stay positive: Most of the physical tasks are more a matter of the mind than the body. The can-do attitude and staying positive all along is half the battle won, especially when it comes to any endurance training or event. Have fun: This one’s a no brainer and the most important thing to keep in mind as you train - enjoy every minute of it both during training and on the day of the event. There you have it, my training strategy for the next few weeks leading up to the D weekend. Please do share your own training tips and what works for you to train for such an event. 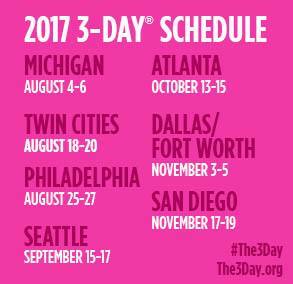 The 3-Day is a commitment. It’s a challenge. 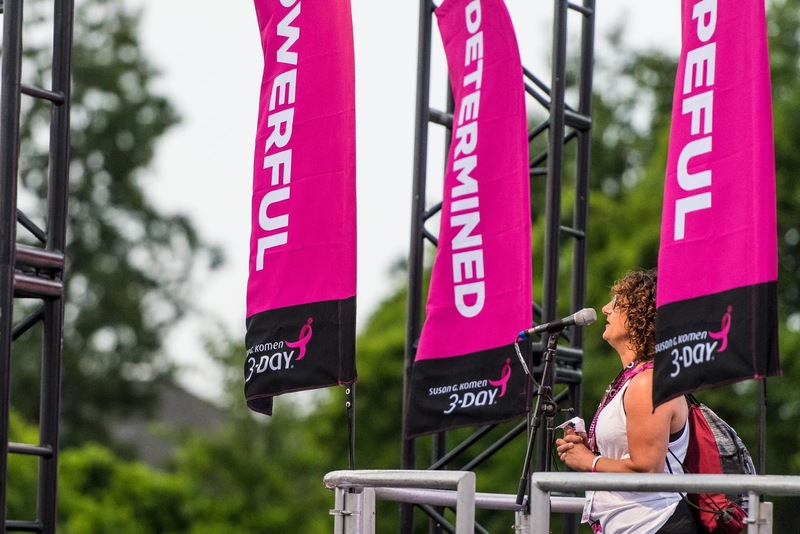 It’s a real, measurable impact on the fight to end breast cancer forever. And here’s hoping that we all cross the finish line as winners, both literally and figuratively!! !